A blindness has descended upon the world–a spiritual blindness. Society as a whole seems unable to distinguish what is good and true from evil and lies. Like Pontius Pilate, few can recognize Truth even when He (Jesus) is standing before them. The importance of being able to distinguish the Face of God from the face of Satan couldn’t be more serious; it is a matter of life and death for us. Satan, first appearing as an angel of light, and proudly confident of his victory over mankind, now bares his “face of evil more and more,” but, “so does the Lord bare His treasures more and more.” God’s greatest treasures are hidden in His Holy Face. (To name a few: the virtues of humility, detachment, love of suffering, self sacrifice and love–the treasures of the Holy Face are infinite.) Perhaps that is why, in this crucial point in history, St. Pope John Paul II dedicated the millennium to the Holy Face of Christ; and why Pope Emeritus Benedict XVI called upon us to contemplate and shine the light of the Face of Christ on every human being through evangelization; and why Pope Francis holds out to mankind the Merciful Face of Jesus Christ. Mankind must turn back to the Face of God or perish! But, in order to turn back to the Face of God, we must be capable of recognizing Him, in our neighbor, in the Scriptures, in the Holy Eucharist and in the Person of Jesus Christ who was born, suffered, died, and rose again for our sake. If we do not recognize Jesus, neither will we be able to recognize the face of Satan, who seeks to destroy us. Scripture seems to contradict itself in describing Jesus Christ: “You are the fairest of the children of men, and graciousness is poured out upon you lips.” (Ps. 45) “He was transfigured before their eyes, His Face became as dazzling as the sun, His clothes as radiant as light.” (Mt. 17:2) “There was in Him no stately bearing to make us look at Him, no appearance that would attract us to Him. He was spurned and avoided by men, a man of suffering, accustomed to infirmity. One of those from whom men hide their faces, spurned and we held Him in no esteem. (Isaiah 53:2-3) It is not always easy to recognize Jesus, He may also be hidden in the poor, the suffering, the young the old. To truly recognize Jesus, we need to ask God for eyes of faith and the light of the Holy Spirit. 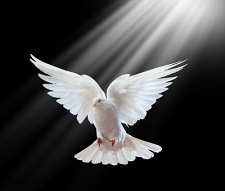 As Pope Benedict XVI had said,“The Holy Spirit illuminates the reciprocity: Jesus has divine dignity and God has the human Face of Jesus. God shows Himself in Jesus and by doing so gives us the truth about ourselves.” The truth that He is God, Eternal Wisdom, Power, and Merciful Love… and we are not. We have nothing that does not first come from God. So, to recognize the Face of God we must be able to distinguish it from the face of the enemy. So, how then do we recognize “the face of evil,” especially when Satan may appear as an angel of light? 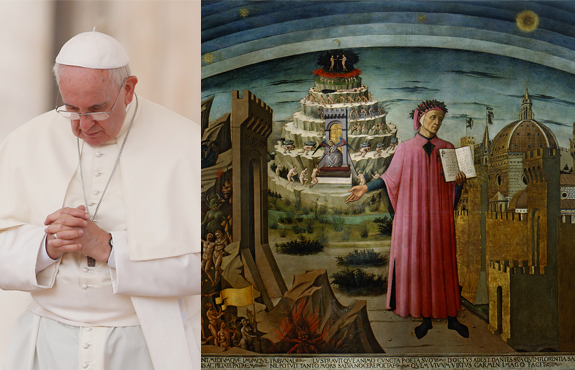 When he announced the Jubilee Year of Mercy, Pope Francis also recommended the reading of Dante’s Divine Comedy as a spiritual preparation. 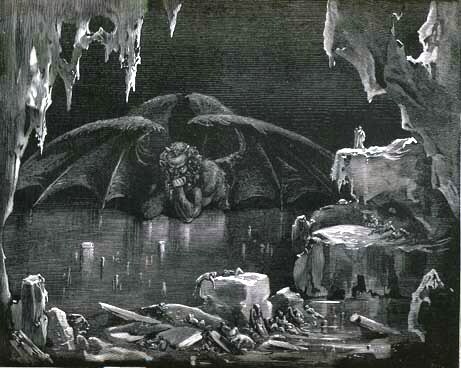 There is a relevant passage in Canto 34 of Dante’s The Inferno that contains keen insights that can help us to recognize the face of Satan… or rather faces, as Dante gives Satan three faces in mimicry of the Blessed Trinity. he well is made the source of every woe. how great a marvel it appeared to me! men’s faces are the color on the left. large enough to suffice for such a bird. I never saw a sail at sea so broad. Cocytus, and reduced it all to ice. dribbled his tears and slaver slick with blood. Satan’s face will always be always be one of impotence, ignorance, and hate and God’s Face will always be one of Divine Power, Wisdom and Love. One wonders how the world persists in blindness; how it calls good “evil” and evil “good” in failing to recognize either the Face of God or the face of Satan. We must pray for the “eyes of faith” and the light of the Holy Spirit for ourselves and the world. We must pray too, that as “evil bares it’s face more and more” that God will reveal the treasures of the Divine Power, Wisdom, and Merciful Love of His Holy Face more and more so that mankind will return to the Merciful Face of God! 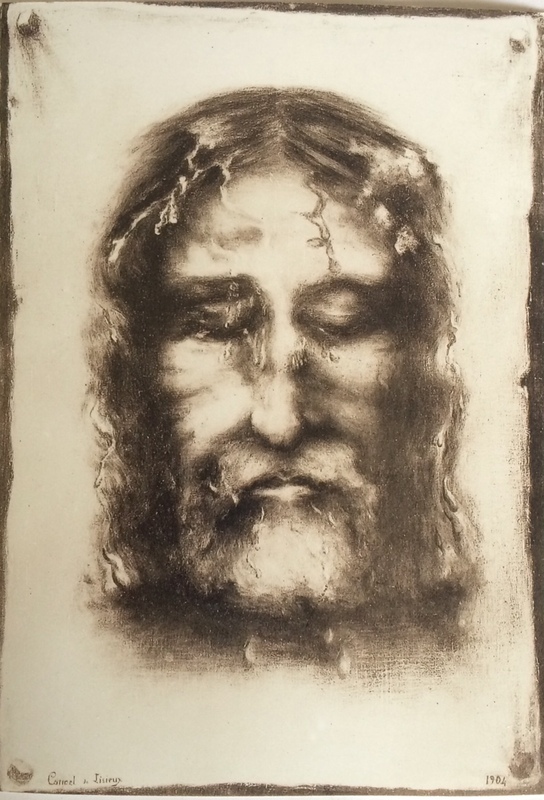 *The drawing above is by Sr. Genevieve of the Holy Face (Celine Martin) the sister of St. Therese of The Child Jesus and the Holy Face. 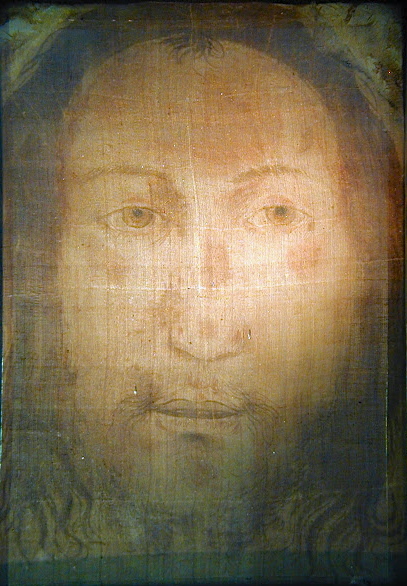 One year after the Saint’s death in 1898, the photographer Secondo Pia took the first photographs of the Shroud of Turin. He was shocked when on the photographic negatives, the “positive” image of a man who had endured terrible suffering appeared. 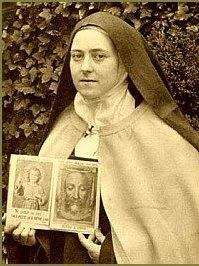 While Celine was reading a book on the amazing discovery, she heard the voice of her sister St. Therese speak these words, “Paint Him, paint a new Holy Face, paint Him as He was!” In 1904, after praying and meditating hours before a print of the Holy Face on the Shroud of Turin she executed the charcoal drawing. 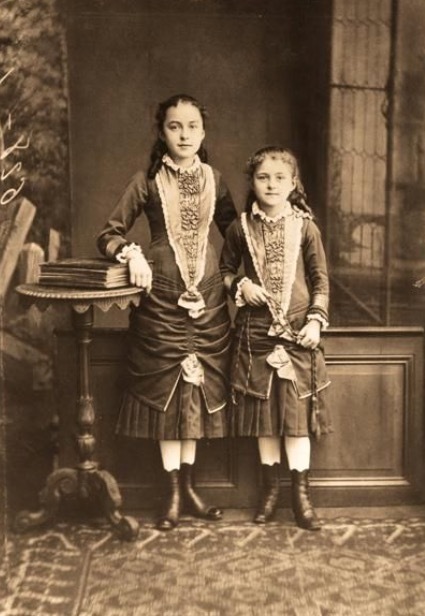 Celine has written this about St. Therese’s devotion to the Holy Face: “Devotion to the Holy Face was, for Therese, the crown and compliment of her love for the Sacred Humanity of Our Lord. This Blessed Face was the mirror wherein she beheld the Heart and Soul of her Well-Beloved. 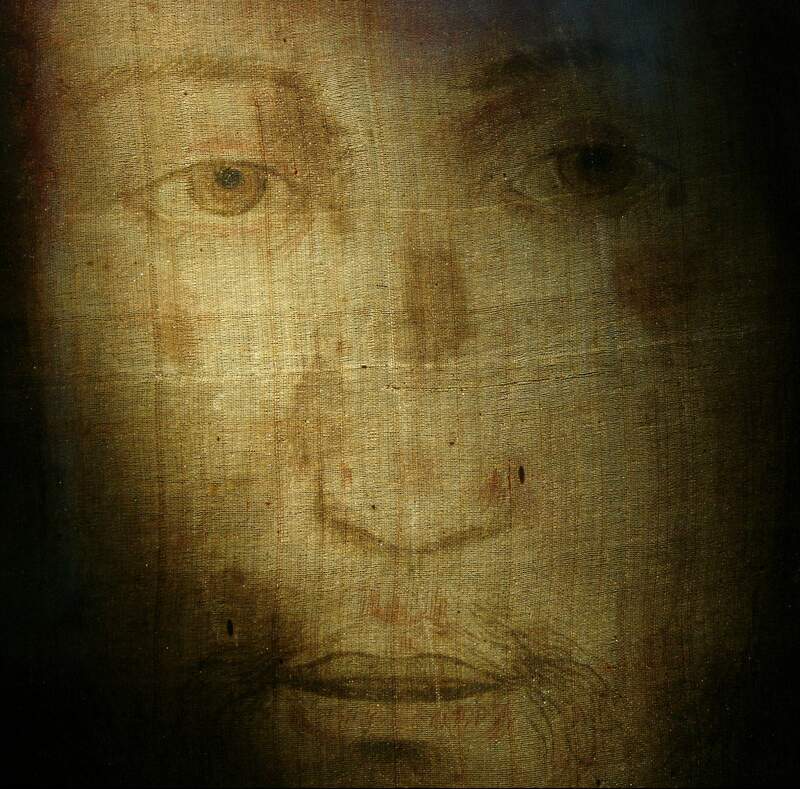 Just as the picture of a loved one serves to bring the whole person before us, so in the Holy Face of Christ, Therese beheld the entire Humanity of Jesus. We can say unequivocally that this devotion was the burning inspiration of the Saint’s life. Pope St. John Paul II, Pope Benedict XVI and Pope Francis, although differing in personality and charism, all have something in common, if we connect the pontifical dots… and the dots are: Mercy, the Face of God and Peace. Paint an image according to the pattern you see with the signature: Jesus I trust in You. I promise that the soul that will venerate this image will not perish. I also promise victory over [its] enemies already here on earth, especially at the hour of death. I Myself will defend it as My own glory. 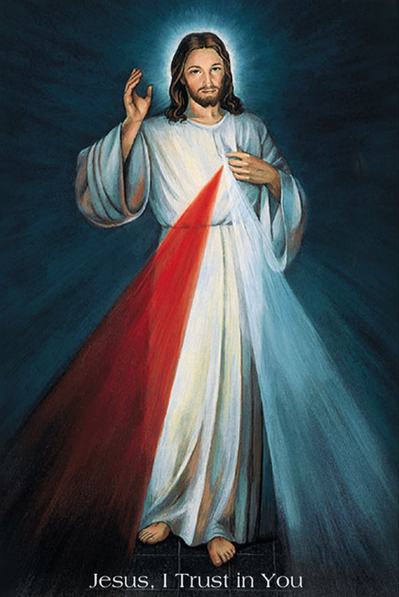 (Diary, 47, 48) I am offering people a vessel with which they are to keep coming for graces to the fountain of mercy. 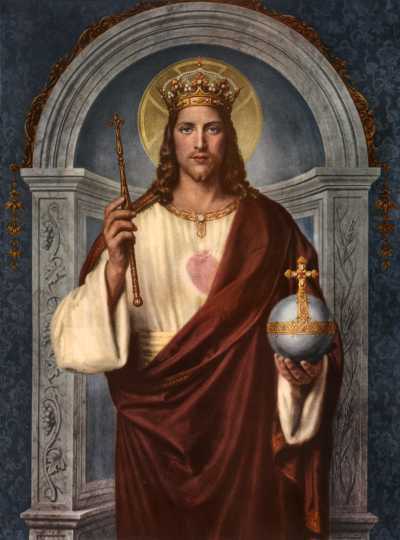 That vessel is this image with the signature: “Jesus, I trust in You” (327) I desire that this image be venerated, first in your chapel, and [then] throughout the world. The two rays denote Blood and Water. The pale ray stands for the Water which makes souls righteous. The red ray stands for the Blood which is the life of souls. These two rays issued forth from the depths of My tender mercy when my agonized Heart was opened by a lance on the Cross. …Happy is the one who will dwell in their shelter, for the just hand of God shall not lay hold of him (299). 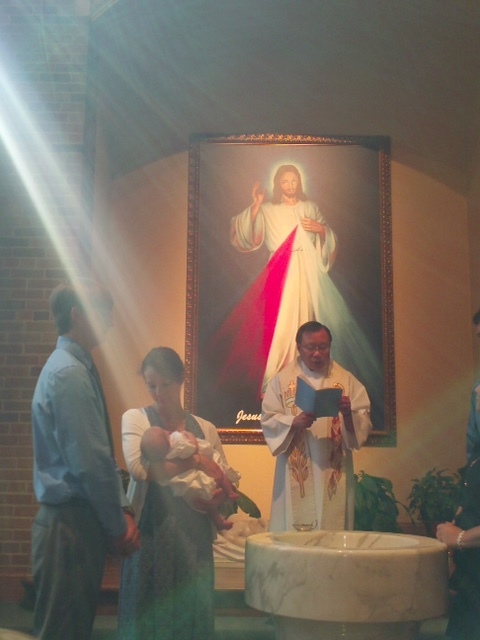 The image represents the graces of Divine Mercy poured out upon the world, especially through Baptism and the Eucharist.